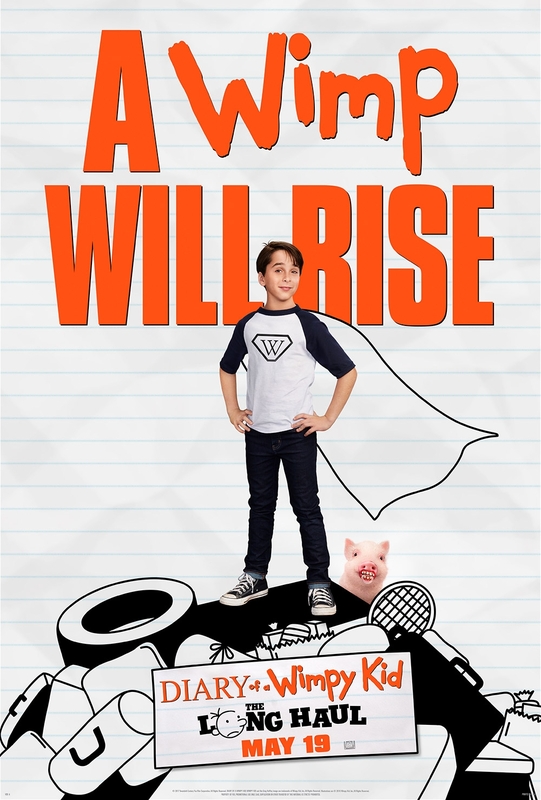 Diary of a Wimpy Kid: The Long Haul & GIVEAWAY! In Theatres May 19, 2017! Was it really 4 years ago that I wrote about my eldest son's passion for the Diary of the Wimpy Kid series? In that blog post, I spoke of his love of Jeff Kinney books, and why I thought it was magic for my son, then only 8-years old. Almost 12-years old now, he's still looking forward to seeing the upcoming movie: Diary of a Wimpy Kid: The Long Haul. It comes to theatres on May 19th, 2017. In honour of this hysterical series, that got reluctant readers interested in books for the first time, I'll be giving away twenty (20) advance screening family passes of four (4) for a total of eighty (80) tickets! Read below for how to win! WIN 1 of 20 advance screening family passes (consisting of 4 passes each) to Diary of a Wimpy Kid: The Long Haul in TORONTO. Screening will be on Saturday May 13th, 2017 at 10:00 am in the Yonge and Eglinton area. Winners will be contacted by Wednesday May 10th, with the possibility of early bird winners! 2.E-mail snymed@gmail.com with subject: Diary of a Wimpy Kid Giveaway. Confirm the name you used on snymed.com to comment. This step is important, as winners will receive their tickets e-mailed to them.